The investigation team working on the disappearance of Malaysia Airlines Flight MH370 will release an interim report of 'a few hundred pages' on March 7th, just one day before the first anniversary of the aircraft's disappearance. It remains unclear if the interim report will contain any new information into what happened MH370 in the early hours of March 8th, 2014. The Department of Civil Aviation in Malaysia is currently finalising the interim report, which is legally required by the International Civil Aviation Organisation (ICAO) one year after air accidents, and with an extensive search still on-going in the south Indian Ocean, it would be premature to think it will contain much new information. 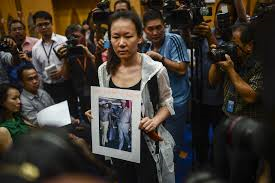 However, it is an opportunity for Malaysian authorities to bring clarity and detail to an investigation dogged by confusion, conflicting and unsupported claims, and a host of bizarre conspiracy theories. MH370 vanished on March 8th of last year with 239 passengers and crew on aboard while travelling to Beijing from Kuala Lumpur. Malaysian authorities still maintain, according to satellite data provided by Inmarsat, that the plane detoured far south into the Indian Ocean due to 'deliberate' action by person or persons on-board. An Australian-led search in the south Indian Ocean involving four vessels are using data from a bathymetric survey to guide underwater equipment to locate the aircraft. So far 18,000 square kilometres (about 30%) of the priority search area has been covered with no sign of the aircraft. The Joint Agency Coordination Centre (JACC) are coordinating the search for the Australian government and continue to maintain that the priority search is on schedule to be completed sometime in May 2015. On January 29th, Malaysian authorities announced that MH370 was to be deemed an 'accident' and all those on board were 'presumed dead'. The declaration is believed to have been made to clear the way for compensation payments to the families of passengers. Malaysia officials insisted news that the disappearance of MH370 would be declared an accident and that its passengers declared missing, presumed dead had been relayed by phone and text messages prior to the cancelled press conference.